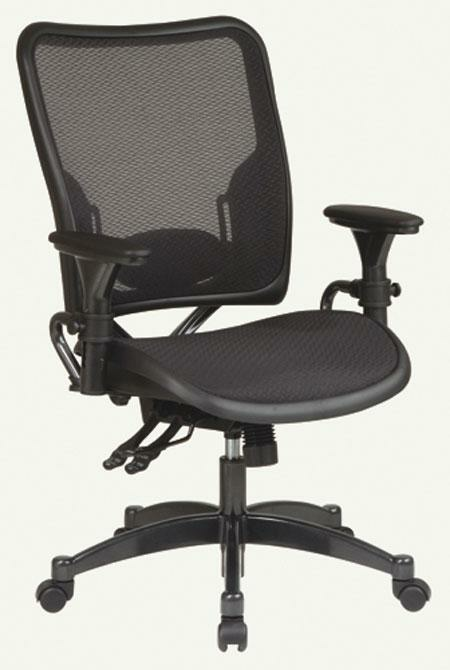 The Dual Function Ergonomic Air Grid Chair features adjustable padded arms and gunmetal finish base. From Office Star's Space Collection. Arms To Floor: 27 In.